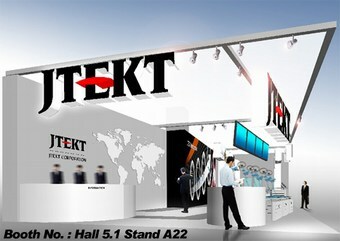 On May 31st/June 1st, 2012, JTEKT participated to the DITEC Fair, organized by Werner Ditzinger GmbH, based in Braunschweig. The Ditzinger group is a wholesaler of industrial products for MRO (Maintenance, Repair and Overhaul) of manufacturing equipment for major industries in Germany and Poland. Volkswagen, with its HQ based in Wolfsburg near Braunschweig, is one of Ditzinger’s main customers. DITEC is organized every 2 years and is attracting an ever increasing number of Ditzinger partners, as well as local professionals and students. The event is giving Ditzinger’s main suppliers the opportunity to present themselves and their products and to provide a platform for networking. As long-term and strategic partner of Ditzinger for needle roller bearings, JTEKT was exhibiting for the 2nd time at DITEC, where it presented its full range of bearing products, suitable for all types of applications in the MRO field.